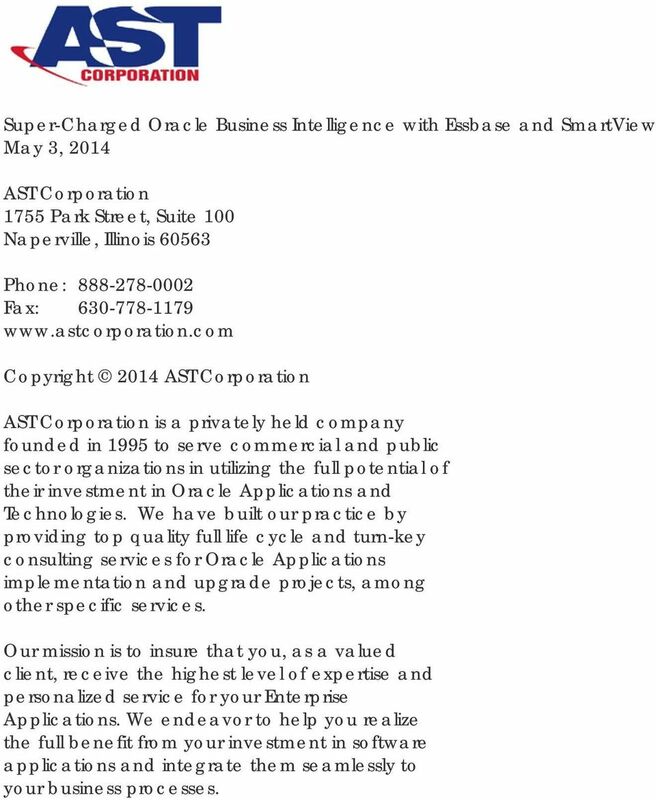 Download "Super-Charged Oracle Business Intelligence with Essbase and SmartView"
13 May 3, 2014 AST Corporation 1755 Park Street, Suite 100 Naperville, Illinois Phone: Fax: Copyright 2014 AST Corporation AST Corporation is a privately held company founded in 1995 to serve commercial and public sector organizations in utilizing the full potential of their investment in Oracle Applications and Technologies. We have built our practice by providing top quality full life cycle and turn-key consulting services for Oracle Applications implementation and upgrade projects, among other specific services. Our mission is to insure that you, as a valued client, receive the highest level of expertise and personalized service for your Enterprise Applications. We endeavor to help you realize the full benefit from your investment in software applications and integrate them seamlessly to your business processes. 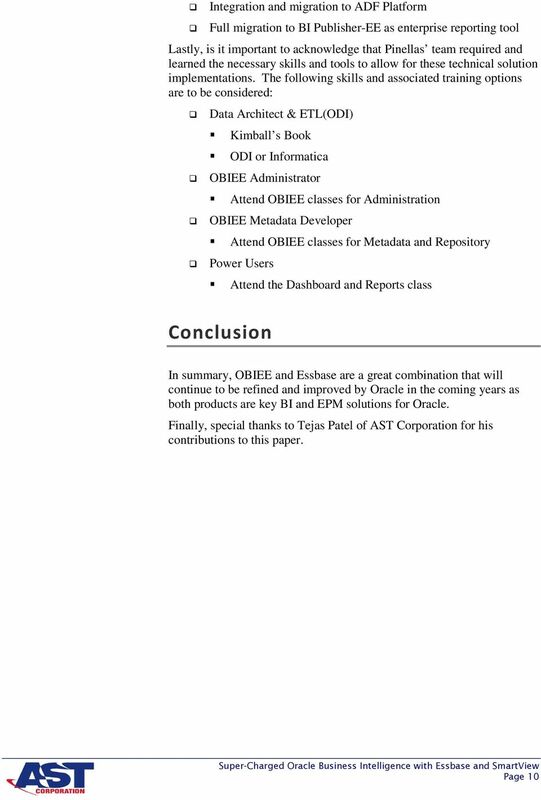 1 of 5 05/01/2015 13:14 OBIEE DEVELOPER RESUME Java Developers/Architects Resumes Please note that this is a not a Job Board - We are an I.T Staffing Company and we provide candidates on a Contract basis. 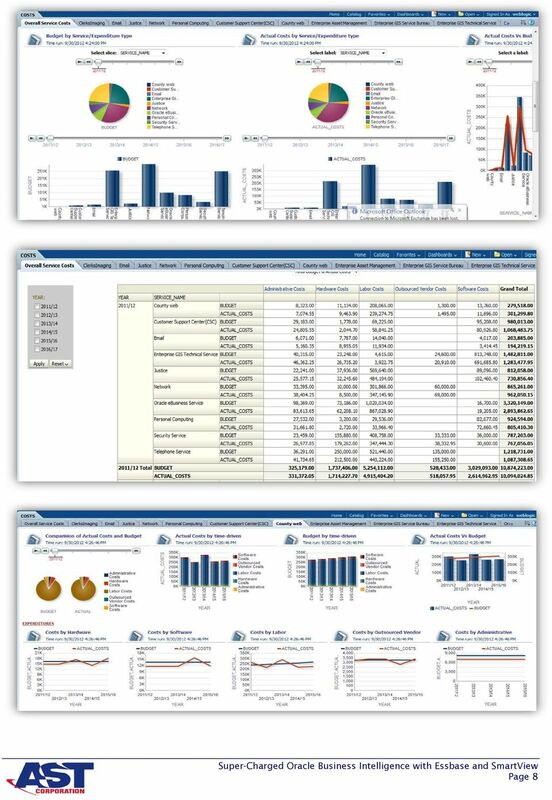 Fusion Applications Overview of Business Intelligence and Reporting components This document briefly lists the components, their common acronyms and the functionality that they bring to Fusion Applications. 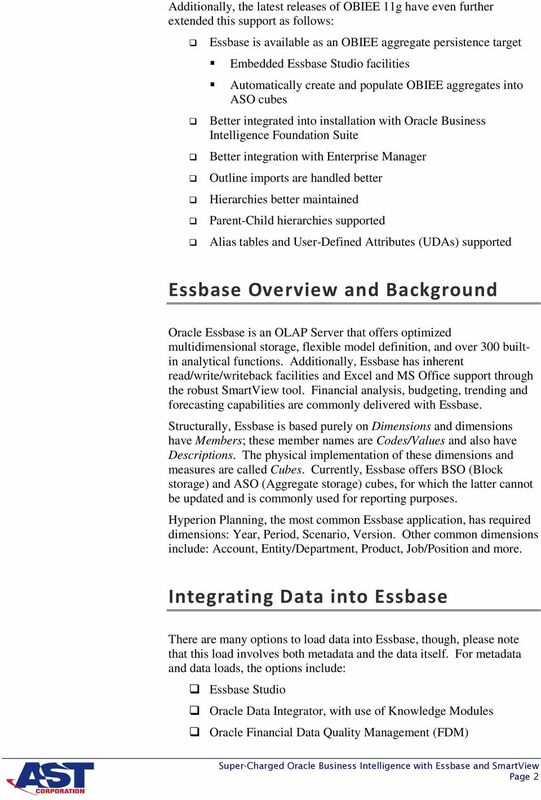 Oracle University Contact Us: 1.800.529.0165 Oracle BI 11g R1: Build Repositories Duration: 5 Days What you will learn This Oracle BI 11g R1: Build Repositories training is based on OBI EE release 11.1.1.7. 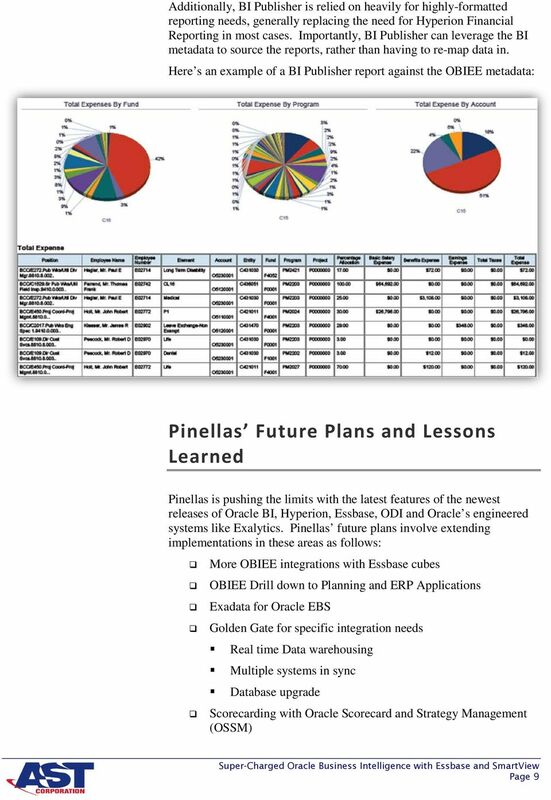 Extensibility of Oracle BI Applications The Value of Oracle s BI Analytic Applications with Non-ERP Sources A White Paper by Guident Written - April 2009 Revised - February 2010 Guident Technologies, Inc.
dvlamis@vlamis.com Vlamis Software Solutions, Inc. 816-781-2880 http://www.vlamis.com Copyright 2008, Vlamis Software Solutions, Inc.
Building Cubes and Analyzing Data using Oracle OLAP 11g ODTUG 08 Session: 7 Dan Vlamis dvlamis@vlamis.com Vlamis Software Solutions, Inc. 816-781-2880 http://www.vlamis.com Vlamis Software Solutions, Inc.
Oracle BI Applications (BI Apps) is a prebuilt business intelligence solution. 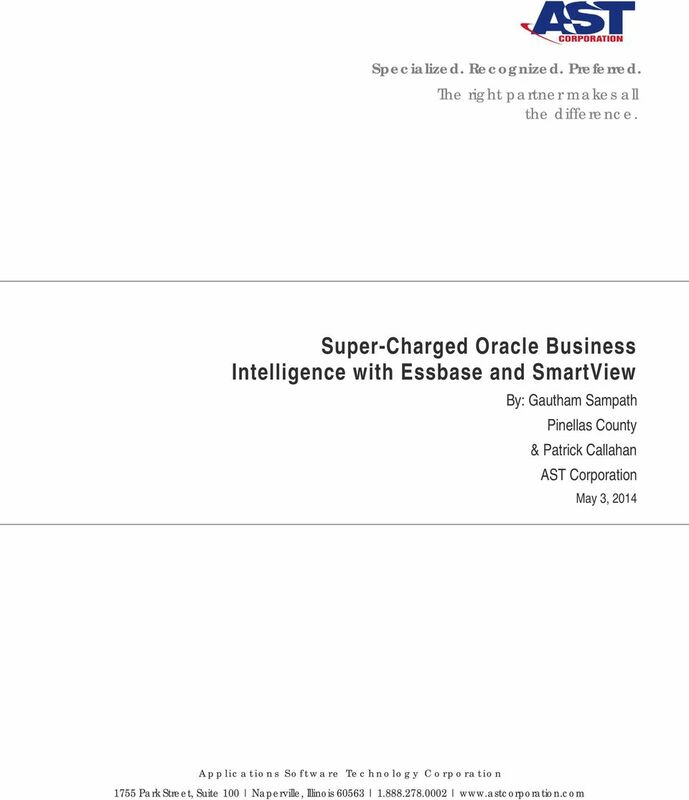 Cost Savings THINK ORACLE BI. THINK KPI. 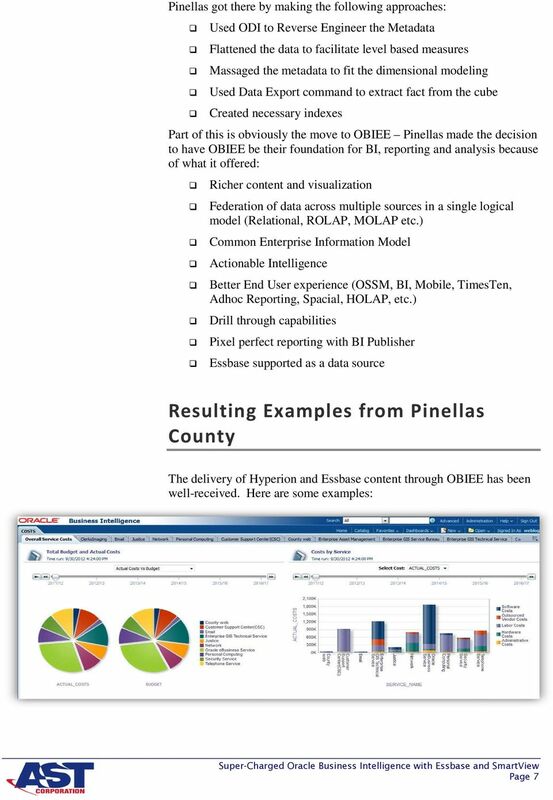 THINK ORACLE BI. THINK KPI. 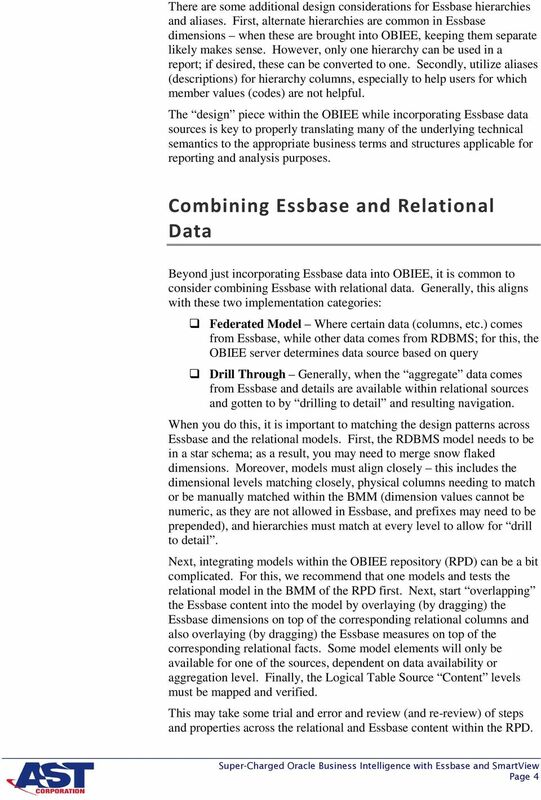 THINK ORACLE BI. THINK KPI. THINK ORACLE BI. THINK KPI. 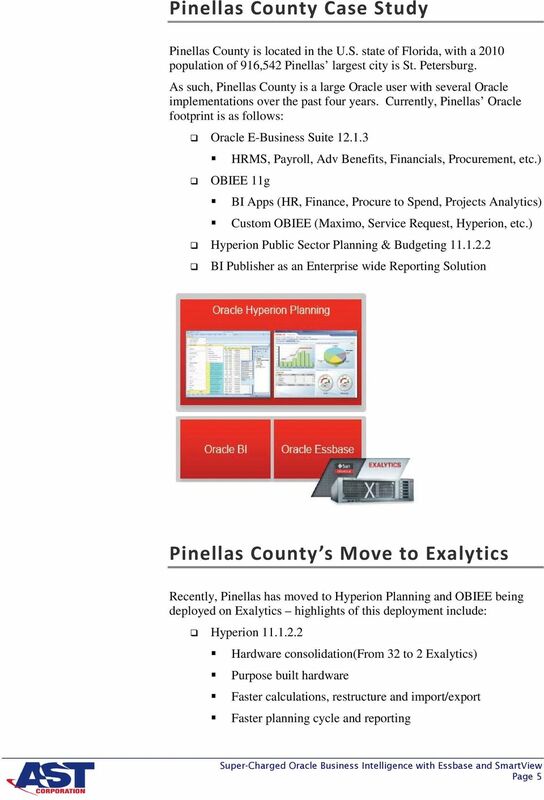 THINK ORACLE BI. THINK KPI. 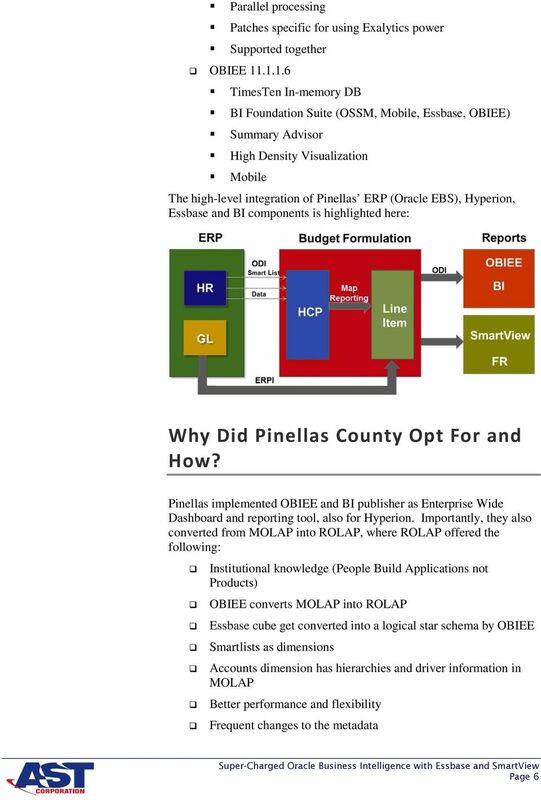 MIGRATING FROM BUSINESS OBJECTS TO OBIEE KPI Partners is a world-class consulting firm focused 100% on Oracle s Business Intelligence technologies. Welcome to the Northern Ohio BI Forum! 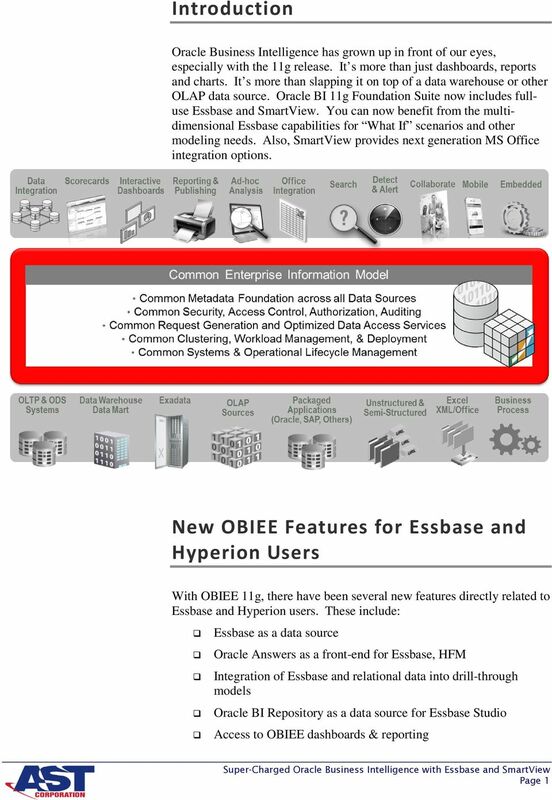 What s new from Oracle Open World 2013?